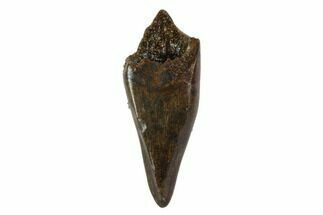 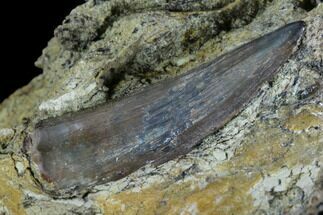 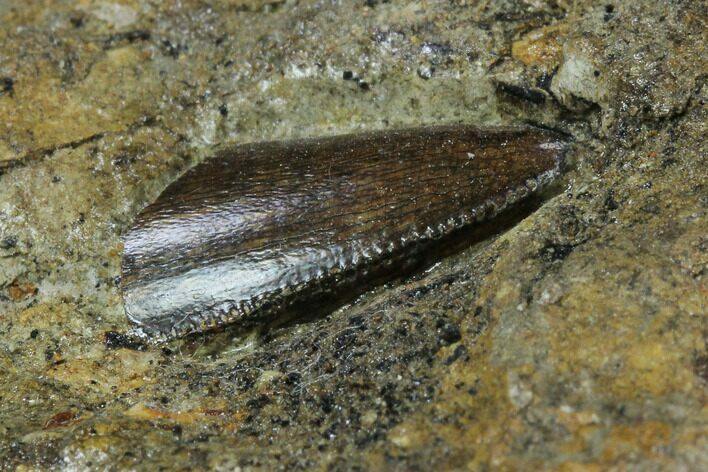 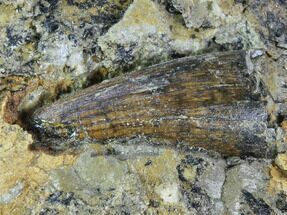 This is a beautifully preserved, .65" long partial tooth of an undescribed Tyrannosaur from the Aguja Formation of Texas. 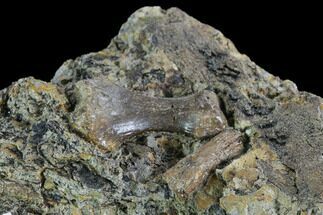 It was left in situ in a good sized chunk of rock full of other bone fragments. 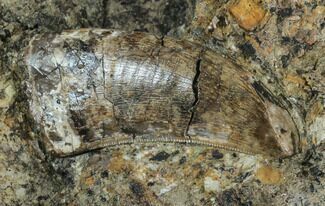 The tooth has wonderful enamel preservation and great serrations. 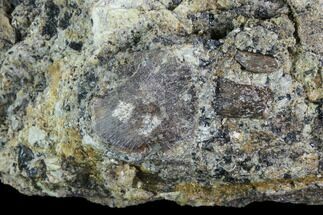 The surrounding matrix (rock) has been stabilized.